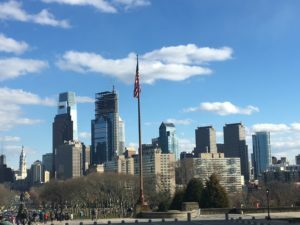 Welcome to Philadelphia Travels, an online travel guide for the many attractions within the city of Philadelphia and its surrounding vicinity. 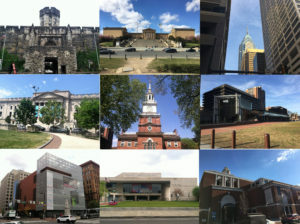 Philadelphia’s rising popularity is owed to its role in American history, being the site of the signing of the Declaration of Independence and the Constitution. Now, it is home to several sites from the time of the American Revolution, to popular museums, and many, many more. More attractions will be covered as time goes on. All of the work on this site is done by me, the Administrator of this site, using my own personal experiences to help you make the best of your trip. That means that at its core, this site is more of a personal project done for fun than it is a professionally-written travel guide. I still tell information truthfully, and I intend every piece of advice given here to be perfectly reasonable. For more information, see About Us, which has further information about this site, about myself, and a guide on how our rating system works. Sometimes when planning a trip, the hardest part can be determining what to do with such a limited time. The highlights page is meant to give you a starting guide, giving you links to sites, ranging from classic places to tourist favorites to hidden gems. Click here for the highlights page.